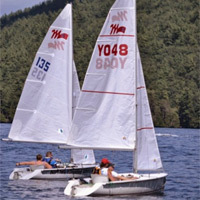 Y-Knot is holding its annual Sailabration banquet on Saturday, November 8 at YMCA Camp Chingachgook. Reception is at 5pm, dinner is at 6pm. Dinner is $20 per person, and there is a suggested (optional) donation of $30. Y-Knot volunteers can attend at no charge. Please RSVP by Nov 3. Call the camp at 518-656-9462 to reserve your spot.